All models have a 160cc OHC 4-stroke engine, 17″/42cm cut, self-propelled, Roto-stop® and Polystrong® deck and 60 litre grass bag. All models have a 160cc OHC 4-stroke engine, 19″/47cm cut, self-propelled, Roto-stop® and Polystrong® deck. 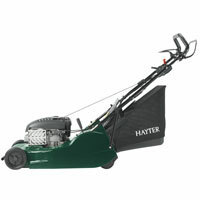 All models have a 163cc OHV 4-stroke engine, 21″/53cm cut, Roto-stop® and and 83 litre grass bag. HRD 536 QX – Self-propelled. Rear roller, Alloy deck. All models have a 4-stroke engine, auto choke, 4 wheels and steel deck.